To become licensed to apply pesticides in Maine, individuals must first earn certification through examinations that show proficiency in pest management, pesticide use, and safety. 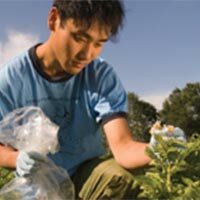 The Maine Pesticide Safety Education Program provides certification training for all agricultural basic, private, and commercial pesticide applicators in a collaborative effort between University of Maine Cooperative Extension, the Maine Board of Pesticides Control, the National Institute of Food and Agriculture, and the US Environmental Protection Agency. For more information on certification and licensing, pesticide laws and regulations and the Worker Protection Standard contact the Maine Board of Pesticides Control at 207.287.2731.